Music in a softly lighted room "... but the prettiest sight to see is the holly that will be on your own front door..."
A Christmasy mug of fragrant, hot coffee. Cozy socks that let me slide along the floor. A dog snoring on my feet. Pleasant smell of chocolate brownies in the kitchen. Holiday spirit rekindled with gifts from the oven. A box of envelopes and freshly printed holiday cards. I love humble, sent-in-the-mail kind of cards with handwritten messages inside. I believe they are not a thing from the past; on the contrary, in this digital age of Facebook and Instagram, of all the "noise" out there on the web and media, we need more than ever this simple, thoughtful act of kindness. A gesture that evokes the unique feeling of receiving something special on the doormat. A gesture that you can't delete with a click of a button. I will never forget the priceless joy in my son's eyes when he received his first personalized letter from Santa Clause sent through the mail. For more than 30 years, volunteers and retired employees (the postal elves) at Canada Post have been donating hours of time to help Santa answer more than a million children's letters. Magic has been created! Handwritten cards and letters in the mail always surprise the recipient with a burst of appreciation because they really are thoughtful and intimate. In a world full of busy people, the postcards make us pause and experience the true act of giving. From the deed of selecting, writing, sealing and sending, it is a conscious decision of devoting yourself to connect with others, to show care and love, to remind them how special they are wherever in the world they might live. I love to call it "a gift of time and thoughts", when we reconnect with things we can do for others rather than what we can get, the soul of the season. This holiday season, encouraged by friends and family, I finally created my own greeting cards out of my photographs. A lovely friend of mine even offered to sell them in her flower shop "Paris Florists". Keeping my fingers crossed, customers will like them. I am actually quite proud of the final result. And another friend who volunteers in a retirement home, with staff consent, just gave me the names of few residents who don't have families and close ones. This weekend my son will write holiday messages on some of my cards and together with homemade gifts like these will deliver them to the home. P.S. 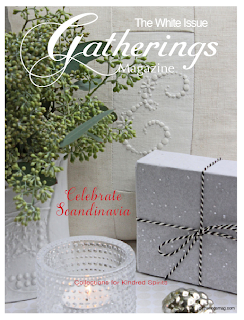 Gatherings Magazine The White Issue (Celebrating Scandinavia) has just been published. 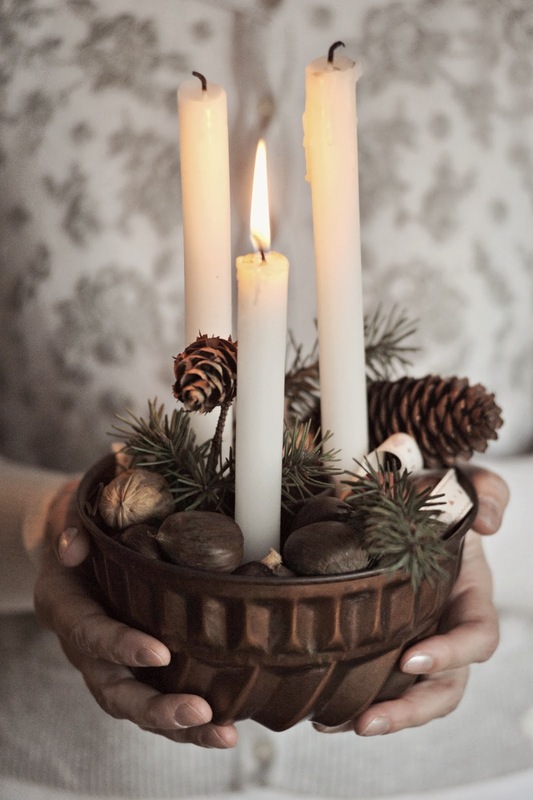 I am excited to be a contributor and I hope you enjoy my photographs and the article I wrote, Celebrating Simplicity: A Handmade Christmas, just as much as I did working on them. The Winter-White Issue is full of wonderful ideas for decorating, crafting and cooking and makes a lovely Christmas gift. You can purchase a copy via the website here. With every print purchase, you receive a free digital issue. I promise, you won't be disappointed! I hope you all enjoy this sparkling, joyful holiday season! Beautiful, beautiful post my dear Sylvia! I agree about the hand written cards and what they can mean to so many. Your photos of your preparations are as lovely as always. I know your feature in Gatherings must be gorgeous! Sylvia, I have missed your posts so much. I am sitting here in a quiet house tonight, with candles glowing at my table, visiting you. The simple things like just enjoying the dance of the wick, the connection with an old friend and listening to my own mind. Thank you for reminding me about handwritten cards. That is the least I can do when I want to give a gift, but in this day of so much NOISE as far as what to buy, a handwritten message means so much. Dearest Sylvia! How wonderful to see you at my post; it's funny because I just opened my mail to find a vintage French postcard that I won from French Essence. As I looked at the postcard, I was enjoying reading someone's message, written in French from the early 1900s. This post of yours and this lovely postcard are reminding me once more how handwriting a message lasts for a very long time and that these things really "do matter." Your Christmas cards look beautiful Sylvia! Congratulations on your article and photo's being published in the magazine! Can readers purchase your cards? They look so pretty! Thank you very much! I hope you will be able to read my response. I was planning on opening an Etsy shop, but obviously it won't be possible at this time of year. However,I will do my best to organize everything for, perhaps , Valentine's Day! What a lovely post. I so much enjoyed all your photos. Your cards are so heart warming and true to life. I too agree on keeping in touch the handwritten way. Mother has been in Assisted Living and her mail is the hi-lite of her day. Only wish more would keep in touch. I had a little post to the grand children somewhat of a reminder, time to press it forward. She never forgot a birthday, a holiday, a sick grandchild, or just a fun day to drop them a line. And to my sons amazement they are all in their little "saved by mother" box of goodies. Congratulations on your magazine publication. I will venture over, I treasure good publications. Enjoy a lovely weekend. Your Christmas cards are perfect, really! A wonderful outcome! Well done and congradulations! 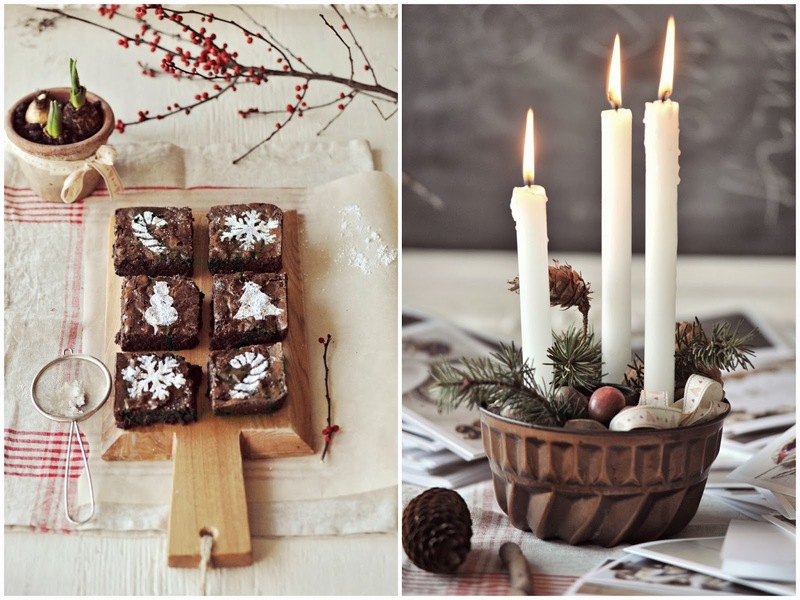 I always enjoy your posts Sylvia!Wish you a happy 2 Advent! Absolutely exquisite! Are the cards only in the store? Is there a place online to buy them? Salut to all of your beauty! what a lovely post and I so agree with you. I still enjoy writing and sending Christmas cards. Last year I made my cards. :) It's so much fun to see a bright red envelope in the mailbox. The sentiments of the cards are like little gifts in themselves. Happy Holidays and Pink Saturday to you. P.S. Congratulations on selling your cards. I am positive they will be enjoyed by many. Reading your post with my 1st cup of coffee. Such a pleasure... what a fabulous start you have given my day. Congrats on the Gatherings. I'm adding this post as my Pick of the Week for Pink Saturday. Have a Blessed Week. You are so right about the handwritten card or note. 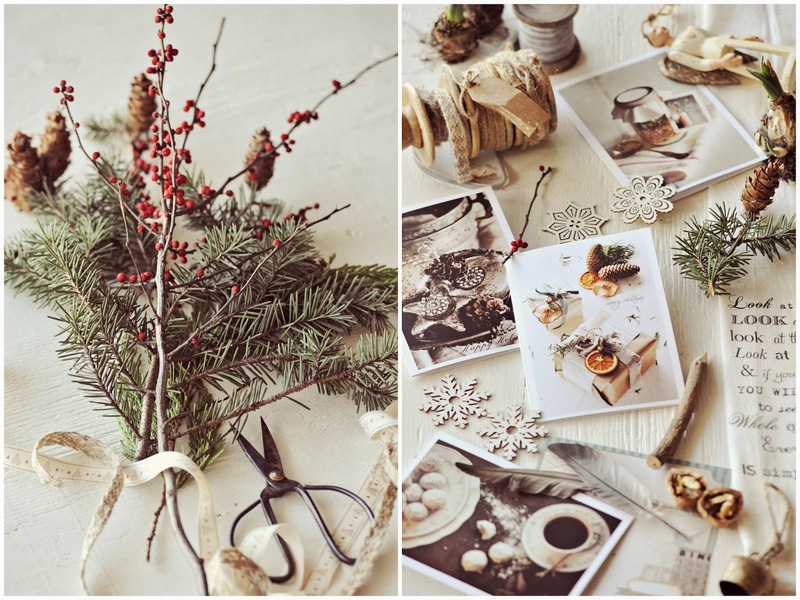 I haven't sent cards at Christmas in a long time and with beautiful sites like Jacquielawson.com it is hard to go back! 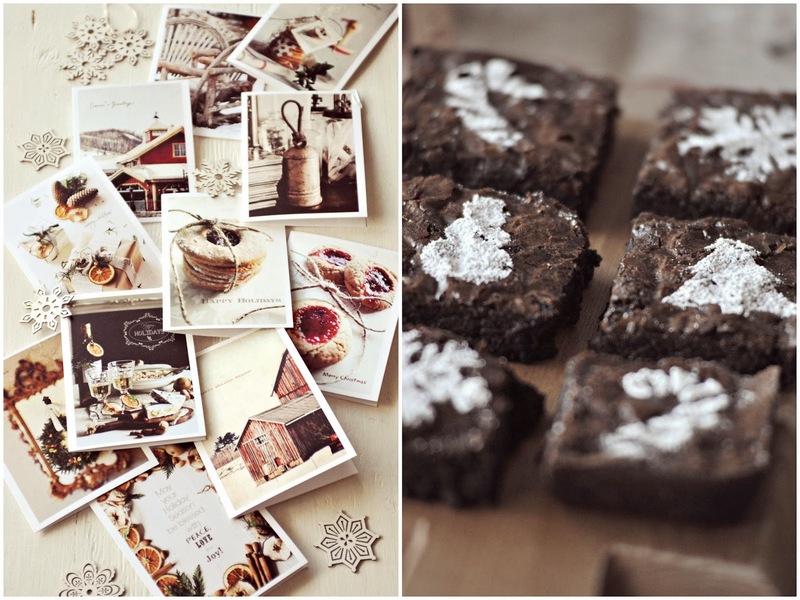 Your photos and cards are beautiful! Visiting from Pink Saturday! I just sent out 20 hand written Christmas cards. You are so right. The old traditions are always the way to go if at all possible. I know myself that I love to receive them. I loved this post and I will be sure to look for your magazine . With your touch of grace, It will be a pleasure. 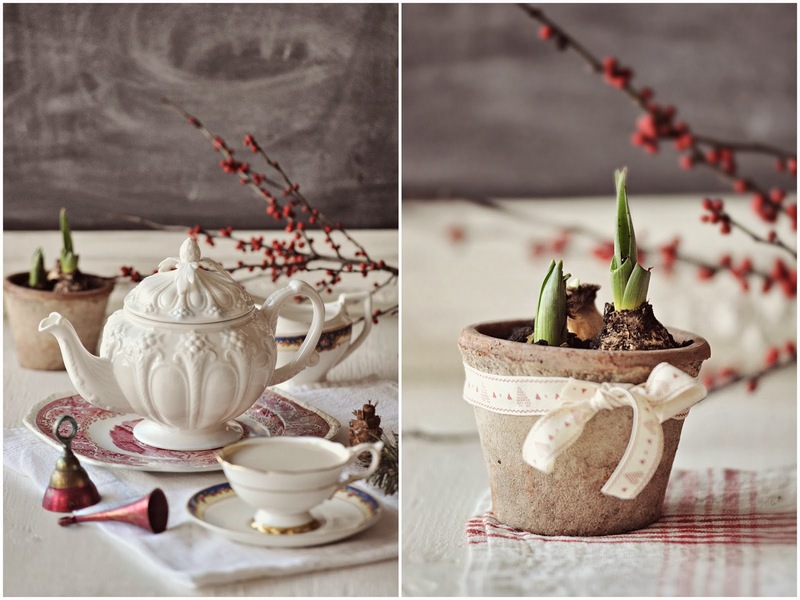 I would like to invite you over to our blog and view our special Christmas. I know you would love it. I enjoy reading your thoughtful words as much as seeing your beautiful photographs. You put love and joy back in Christmas. Congratulations on your contribution to Gatherings Magazine. And thank you for 'finding' me again, for now I get to enjoy following you once again. Sylvia your photos just make me swoon. I love the cards and the idea of giving them to the older residents. Congratulations on the publication! A beautiful post, Sylvia! Congratulations on your publication! I send out Christmas cards every year although my list is getting shorter unfortunately. Thank you for sharing your meaningful post. 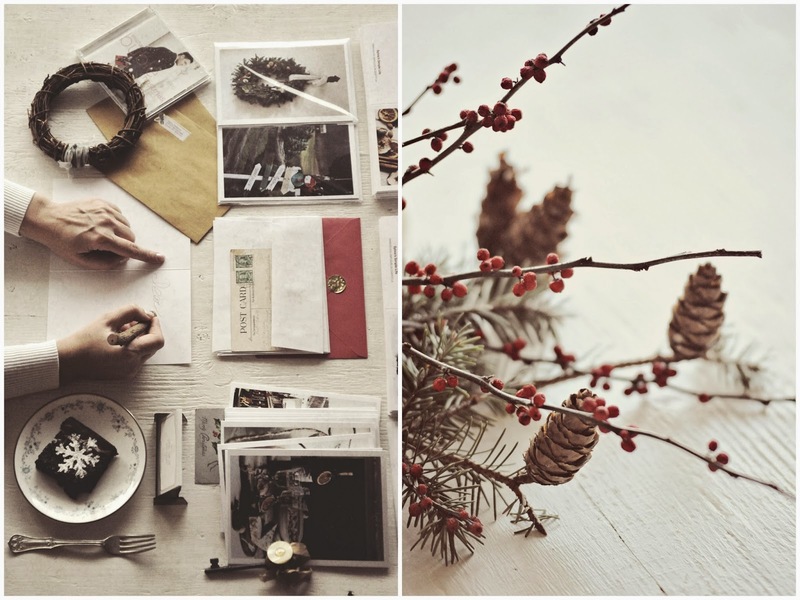 Lovely post Sylvia, and lovely photographs that meld so perfectly with your words. And... when you are ready to sell your cards, I'll be first in line - they are stunning! Oh, how I have found much delight in visiting your blog lately, SO inspiring to the soul! I will definitely continue visiting with you from day to day. Thank You, for sharing your talent, it brings JOY to many! I strolled over from The North End Loft, and your photography is just so amazing. I loved looking at each of your images. Also, I read your "Welcome" message and I believe we were meant to meet. I, too, believe in everything you stated, especially "OLD is beautiful and Green is better". I'll be exploring your blog more in depth, that's for sure.